Presenting a modern day graphic and A.I. update to this classic southern racing venue! 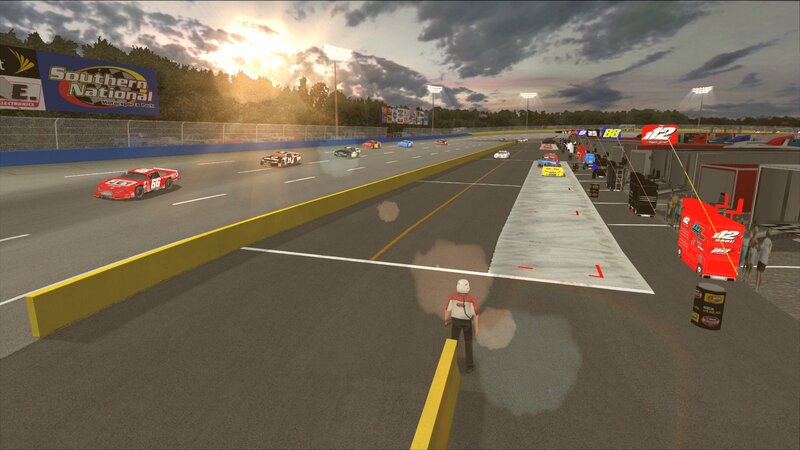 The Project: Short Track development team headed back to the South once again for their latest release with this modern day update of one of the Southeast's finest and fastest racing facilities, Southern National Motorsports Park. in Lucama, NC. We have given a nice 2017 "facelift" to the .40 mile high-banked track originally created by PST member, Carl Sundberg and company back in 2010. Since that time, the real-life track came under new ownership and management and made some significant changes in its appearance. Initially, the previous red and white walls were painted all yellow. Then in 2016 and through today, some blue accent walls were added. In this updated SNMP Night version, we provide both the current day look with the blue accent walls and the all-yellow walls version as an optional file and so you can choose which version you prefer to run on. 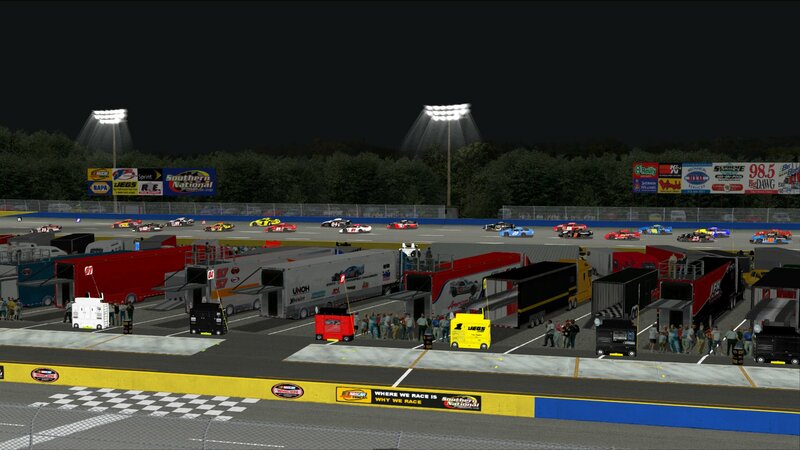 Additionally, we gave it the "Full Monty PST" treatment with our newly updated haulers and vehicles, more accurate looking light towers and several other updated track-side objects and detailing. Plus, more attention was given to create a more realistic nighttime atmosphere and environment with enhanced shading and shadow effects. Combine that with all new optimized A.I. and our featured "progressive" random night skies that you've enjoyed in many of our previous PST night tracks and you have a high quality short track that not only looks authentic, but delivers a ton of "bang for the buck" in short track racing enjoyment! 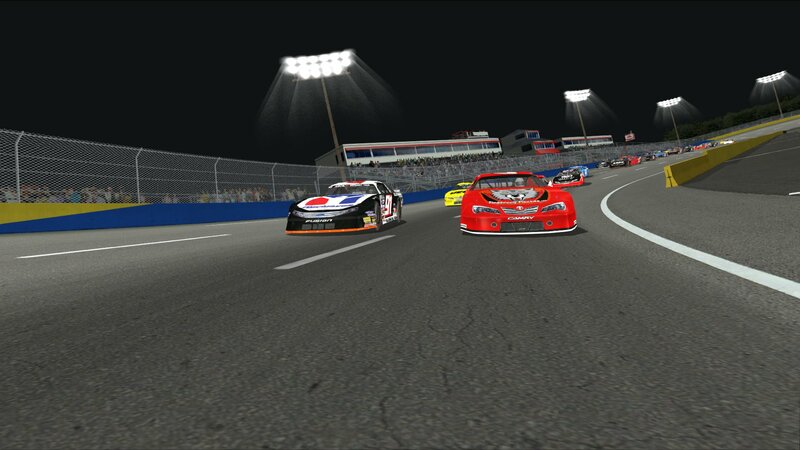 As is the case in the real-life Southern National, this NR2003 version also features 2 separate pit roads (one on the frontstretch and one on the backstretch) each with 15 stalls and with 17 degrees of banking in the corners and 7 degrees on the straightaways, the racing is ultra fast and tight. So get ready to battle for every position in a grueling short track test. Before you load up the track, climb behind the wheel and turn some fast laps, please be sure to read through the README CREDITS file in the track as there are very important notes about the A.I. and how to get the best results when racing on the track in NR2003. We also outline all of the various contributions people have made in the creation of this track. Finally, included with this track are optional 2nd Groove versions that provide a little extra grip on the outside groove. These optional versions are primarily only for ONLINE League usage to help make outside passes a little more possible. Use of these 2nd groove versions IS NOT RECOMMENDED FOR OFFLINE RACING AGAINST THE A.I. as testing has shown that it causes the A.I. to remain side-by-side resulting in very little passing and practically no opportunity for you or the A.I. cars to advance or pass. Nothing beats those "Southern Nights Under The Lights" and with this short track, the action will be just as hot! 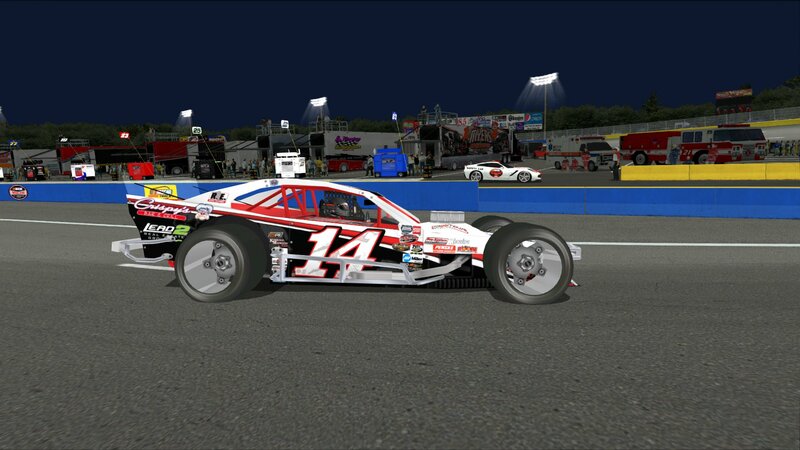 Enjoy the fun from the guys who are "Making Short Track Racing A Virtual Reality!" horseman89, InsideLine, Redsco and 1 other person like this. Car Set 2018 Southern Modified Racing Series Car Set by Ground Pounder Designs! 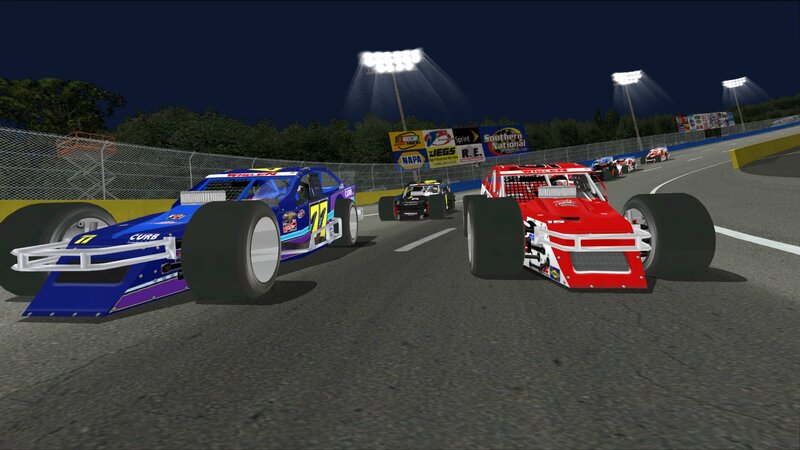 Get this awesome 30-car set of the Southern Modified Racing Series by GPD now! Car Set 2018 NASCAR Whelen Modified Tour Car Set by GPD! 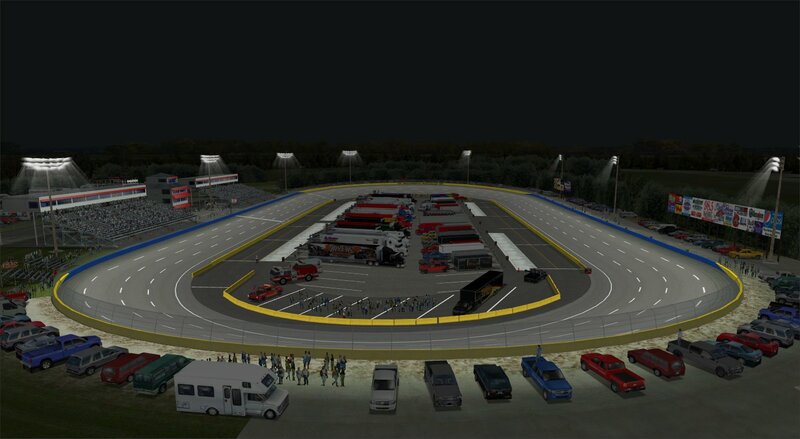 Presenting PROJECT: Short Track's Latest Release... Myrtle Beach Speedway 2018! The historic .538 mile asphalt tri-oval has been totally updated by PST! GPD presents every modified that competed in the 2017 SMRS campaign in this awesome car set! "Where The Action Is The Attraction"!